At the Gonzaga vigil for Las Vegas .... Rev. Jim Voiss, S.J., Rabbi Elizabeth Goldstein and Yousif Kaddoura (from the Spokane Islamic Center) were invited to speak on behalf of their respective religious communities. Fr. Voiss led an Ignatian meditation that evoked the celebratory nature of the concert, the sudden intensity of the attack and what it might have been like for God to look down on the scene of suffering. “Jesus does not end the reality of violence, but he points a way and invites us to stand against violence with love, with compassion, with courage, with hope,” Fr. Voiss said. Goldstein took the podium next. She first led the vigil in a song of praise. She then offered a prayer for hope. To conclude, she led attendees in the same song. Kaddoura began by reading a passage in Arabic. He translated the passage that denounced violence and killing other human beings and expressed solidarity with those impacted by the massacre. “Our hearts and prayers are with you and sincere condolences to the families, to the loved ones of those who were killed or injured,” Kaddoura said. 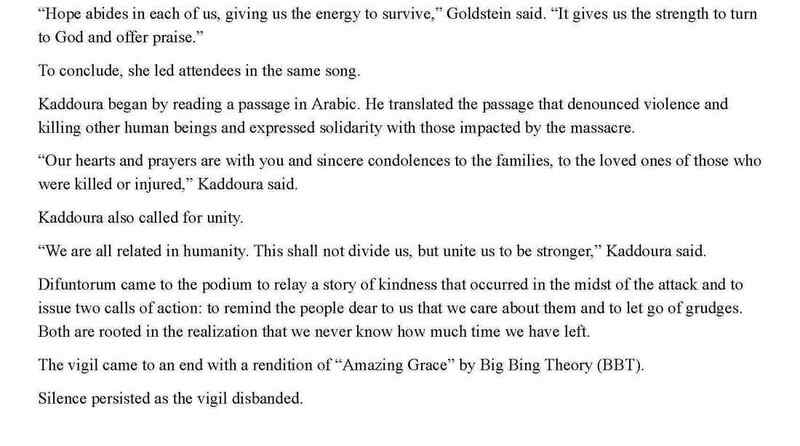 Kaddoura also called for unity. “We are all related in humanity. This shall not divide us, but unite us to be stronger,” Kaddoura said. Difuntorum came to the podium to relay a story of kindness that occurred in the midst of the attack and to issue two calls of action: to remind the people dear to us that we care about them and to let go of grudges. Both are rooted in the realization that we never know how much time we have left. Have you ever been to a seder in the middle of winter? Gonzaga University students will participate in an interactive Tu B'shevat seder where we will eat fruits and nuts, celebrate the birthday of the trees and the beauty of nature. Ascend through the 4 mystical worlds as we sing, connect with one another, and contemplate our responsibilities to the earth. 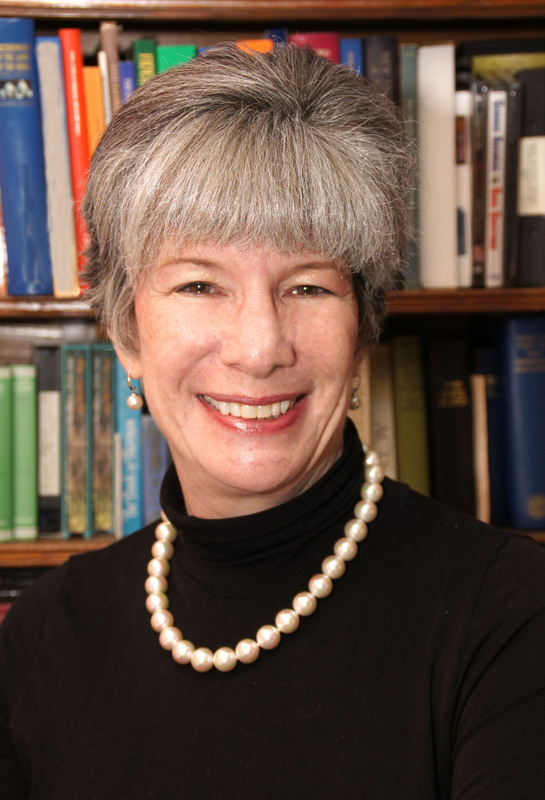 Professor Goldstein is currently preparing for the Gonzaga Israel Study Abroad program. Contact her for details.